The much-awaited SANDWICH HOLIDAY is here! 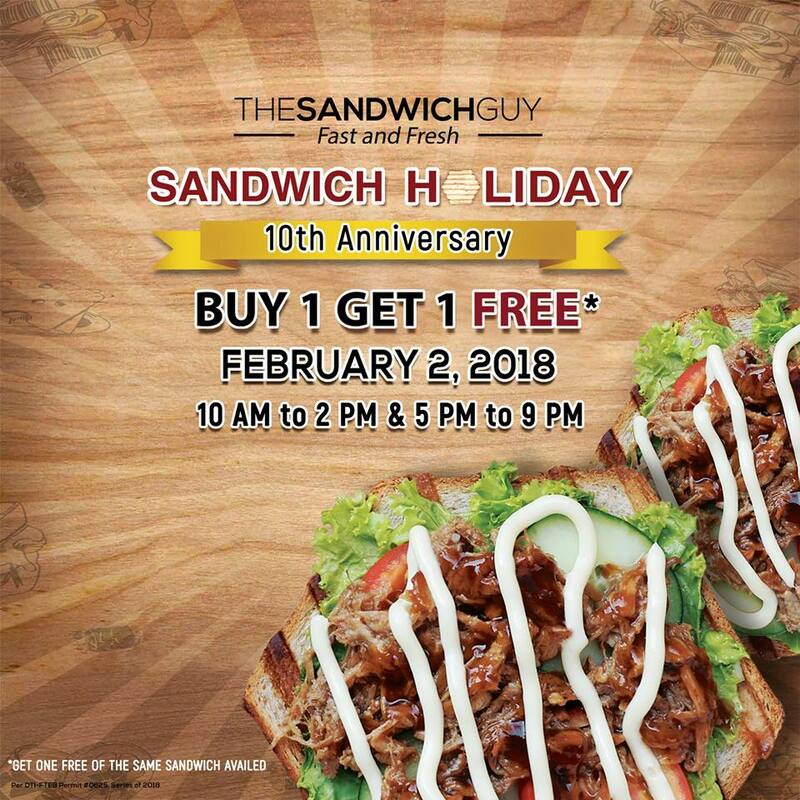 Check out The Sandwich Guy's Buy1 Get1 Anniversary Promo - Buy 1 Sandwich* and Get 1 for FREE on February 2, 2018! Get 1 FREE of the same sandwich can be availed. Available in all The Sandwich Guy outlets! Come and join them as they celebrate their 10th Anniversary - a decade of serving healthy and quality food.